Iomega, an EMC company and a global leader in data protection, announced the latest addition to its network solutions portfolio with the worldwide launch of the new Iomega® StorCenter™ Pro ix4-100. 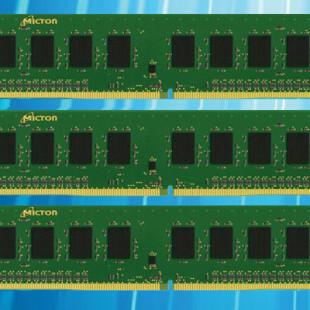 Based on enterprise-class EMC® storage technologies, the StorCenter Pro ix4 NAS is up and running in just four mouse clicks, providing small businesses and remote offices with up to 4TB* of networked storage that easily integrates with existing infrastructure for expanded storage, file-sharing and backup of critical business data. The StorCenter Pro ix4-100 is a four-drive NAS powered by the acclaimed EMC LifeLine™ software, a fully-developed Linux operating environment and suite of applications that protects your data and performs valuable business tasks above and beyond simple storage, all designed to make it easy to securely store, protect and serve up data when you need it and where you want it. EMC LifeLine software is designed for cross-platform computer support and has the added bonus of allowing for secure, downloadable feature upgrades. The StorCenter Pro ix4-100 delivers fast data throughput, multiple RAID configurations, RSA® based enterprise security protection features, as well as a host of other benefits that make it an ideal networked solution for stand alone business entities and groups with up to 25 users. Additionally, no IT staff is required to manage the appliance. The Iomega StorCenter Pro ix4-100 NAS has the small footprint of a compact desktop with either 2TB or 4TB capacities. The ix4 provides centralized storage to business users searching for the easiest and most technologically advanced way to share, secure and protect their most important data – including work files, videos, photos, music files and other digital data. With just four mouse clicks, the ix4 is ready to work with any computer on the network. Management of the ix4 is handled by a user friendly web interface, accessible in any of 11 supported languages. Users can access files from any networked Windows PC, Linux workstation or Macintosh computer for easy file-sharing, data backup and print-serving. The ix4 can be configured with different levels of RAID support: RAID 5 (pre-configured) and RAID 10 (both with automatic RAID rebuild), as well as JBOD. The four drives in the ix4 are hot-swap SATA II hard drives that minimize downtime and allow for easy replacement. With Gigabit Ethernet connectivity and a high-performance embedded architecture, the ix4 boosts small business productivity by making data readily accessible, yet secure, over a local network. The ix4 has four USB 2.0 ports for adding printers or additional storage capacity with external USB drives. UPS Support: Enables unattended system shutdown without data loss in the case of power failure. Expandability: Add storage capability by connecting external USB hard drives via the USB 2.0 ports. Versatility: The ix4 supports read and write on various formats, including Fat32, NTFS or ext2/ext3 formatted hard disks (read only on external HFS+ formatted drives). Alerts: The ix4-100 provides email and SNMP notification for quick system status. System Dashboard: Provides easy-to-understand status information on space utilization, device, peripheral and backup status. Video Surveillance: Supports up to three Axis® Network video cameras, for real-time monitoring and video capture directly to the ix4-100, dependant upon system workload and network conditions. Print Server: Supports intelligent print sharing capability for up to four USB printers directly connected to the ix4. UPnP AV Media Server: Compatible with UPnP and DLNA certified media players, the ix4-100 streams photos, audio content and videos to not only laptops and computers but a variety of media devices like game consoles (Xbox 360, PlayStation 3), audio bridges, iTunes™ players, digital picture frames and other devices. Bluetooth® capability: Allows users to upload contacts, photos and more from a cell phone, pocket PC or Blackberry® phone (Bluetooth USB adapter required, sold separately). Picture Transfer Protocol (PTP): Supports no touch, automatic transfer of photos from digital cameras via one of the four USB 2.0 ports on the ix4-100. The StorCenter Pro ix4-100 NAS Server provides data backup and protection for any number of desktops and laptops with integrated EMC Retrospect® backup software. During the set-up process, users choose files and folders for scheduled automatic backups. After that, any changes or additions are updated and saved automatically. For additional protection, the StorCenter Pro ix4-100 includes MozyHome™ online backup service, a secure way to store, protect and access important files. MozyHome online backup service provides 2GB of free online storage per user for backing up selected folders directly from their computers to world-class EMC data centers. Users can also upgrade to unlimited online storage for just $4.95 per month per client computer, or to the centrally-managed MozyPro plan for businesses. The StorCenter Pro ix4-100 also includes RSA® BSAFE® encryption security technology for protecting installs and upgrades from viruses or malware. RSA is the security division of EMC that protects digital data at many of the world’s largest banks. 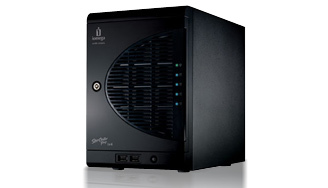 The StorCenter Pro ix4-100 NAS Server is compatible with Windows®, Mac OS®, and Linux® PCs. The interface is localized in 11 languages (English, Spanish, Portuguese, French, Italian, Japanese, Korean, Traditional and Simple Chinese, German, and Russian).